Make it a Tea Party! Tea parties have come into vogue lately. This is the perfect time for a tea party. The end of February, beginning of March is usually cold and a bit dreary. If you’re like me, you can’t wait to get out of the house. The perfect excuse? Throw someone a party – and make it a tea party! Create an inviting environment with cozy colors, vibrant hues, and the uplifting aroma of tea. Your guests will adore the warm comforts of tea to combat the cold outside. It’s the perfect way to transition from winter to spring. Add red or orange tulips to compliment your theme, and introduce the first hints of spring into your party. 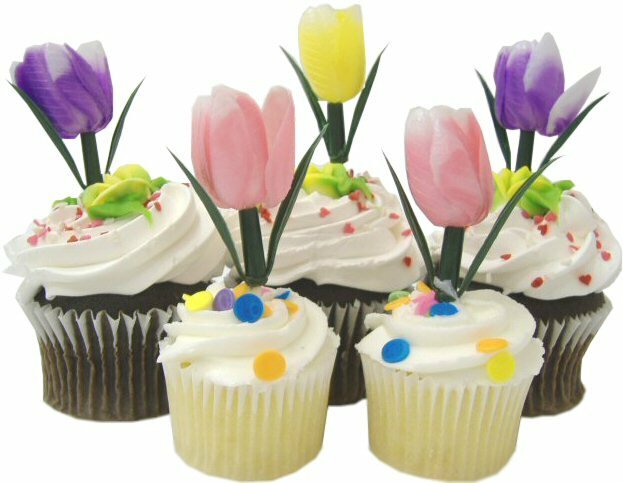 We even have tulip cupcake picks to match! Here are some basic items to have at your tea party: paper products in a “tea” theme, sugar cubes, sugar tongs, tea caddies, tea-themed favors, and decorations. We have it all! The Tea Pot Design Sugar Cube! You’ll also want to check out our Tea Party Invitations. Write your party information on the teabags and place inside the teacup. So clever! These are an obvious customer favorite!! Tea parties are perfect for many occasions. For little girls, bridal showers, baby showers, etc. Get your girlfriends together to ward off cabin fever and celebrate! Spring is just around the corner, and a tea party is an excellent way to keep warm until it comes. Enjoy! 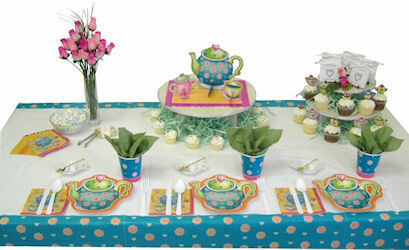 To view our Tea Party items, click HERE.